Avocado is more than just Guacamole. They are also good in desserts and cupcakes too. This mouthwatering cupcake recipe came to me after reading one blog entry from this lovely website. The recipe is adjusted to my liking, omitting almond flour and reducing the amount of sugar, as well as using avocado cream for the icing. Preheat the oven to 325 degrees (160 degrees C). Line mini muffin pan with cupcake papers. In a large mixing bowl, beat avocado, lemon juice, butter and sugar until smooth. Add flour, baking powder and baking soda to the mixing bowl, and continue beating until the batter is smooth and creamy. Fill each muffin cup with batter, about 1 heaping teaspoon or until 2/3 full. Bake in the oven for about 15 minutes, or unit toothpick inserted in the center comes out clean. 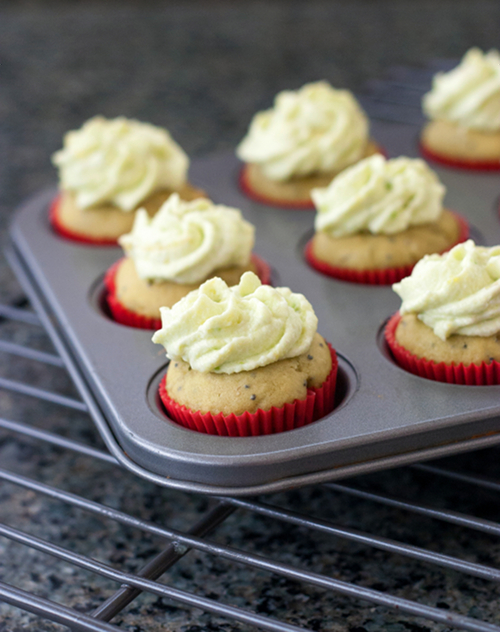 Remove cupcakes from the pan, transfer to wire rack to cool completely. Meanwhile, using electric mixer, beat the heavy whipping cream in a large bowl until stiff peak forms. Set aside. In a different bowl, beat together avocado, lemon juice and sugar until smooth and creamy. Transfer the sweet avocado puree to whipped cream bowl. Fold them gently into the cream using rubber spatula until well combined. 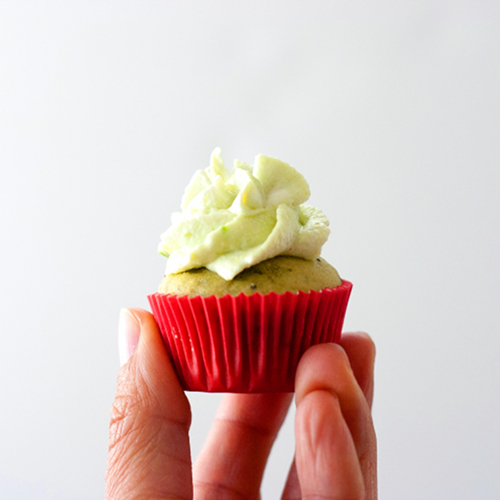 Place a dollop of avocado cream on top of each cupcake (alternatively, you can pipe the icing using star tip and piping bag). Serve and enjoy! Makes about 48 mini cupcakes or 24 regular cupcakes. These are so adorable. I love the green hue. Avocados are so amazing. I've been experimenting lately with avocado dishes and this will be a great one to try. There are two main types of seeds. Black seeds, actually a slate blue in color, are most known as European, because they are the kind used most in western breads and pastries.